Welcome to the era of extreme weather. If you live in the US Midwest, you’re likely accustomed to laughing in the face of winter snow, ice, and freezing winds. But even the hardiest Midwesterner isn’t used to temperatures (including wind chill) falling below -50°F (-45°C); that’s because those are numbers that haven’t been seen in decades. 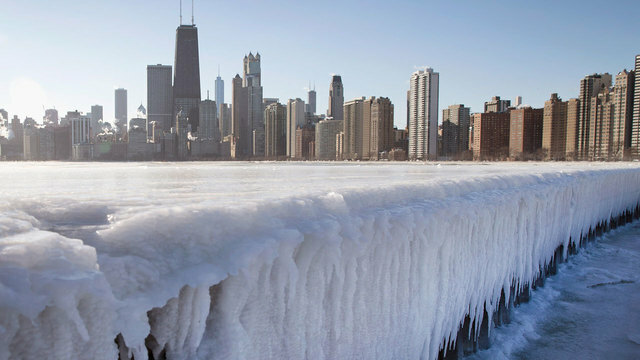 The last time Chicago was this cold, Ronald Reagan was US president, the Berlin Wall had yet to fall, and the public release of the World Wide Web was still six years away. On Wednesday, the highs throughout much of Canada and the Upper Midwest of the US were lower than the high temperature on Mars. If you live in southern Australia, you probably think it’s cute when the British press freaks out about heat waves where the mean summer-time temperature is around 61°F (16°C), as it was last year. After all, the mean temperature in Adelaide—for the entire year—is 72.5°F (22.5°C). January, summer in south Australia, averages 85°F (29.4°C). But there’s nothing winsome about 115.9°F (46.6°C) weather, which is where thermometers maxed out in Adelaide during last week’s record-breaking heatwave. If it feels like every month brings some novel or record-setting environmental disaster, it’s because, often, it does. Unfortunately, in an epic feat of brand mismanagement, the climatologists who first began ringing the alarm that Earth was on a crash course for inhospitality called the situation “global warming.” That remains accurate, on a planetary scale: 2018 was the fourth-warmest year on record, based on global annual temperatures. The only years warmer were 2015, 2016, and 2017. Ocean surface temperatures, on average, have been steadily increasing since the 1970s. But that term, “global warming,” is too easily misconstrued, too easily manipulated by bad-faith actors like US president Donald Trump, who point to cold weather events or rainstorms and say “how could Earth be turning hot and dry when it’s colder and raining more than ever?” These science deniers are disingenuous, of course; just take a peek underneath the hood of any politician spouting climate-change denials and you’ll find vainglorious party operatives and avaricious industry influencers lodged in the machinery.